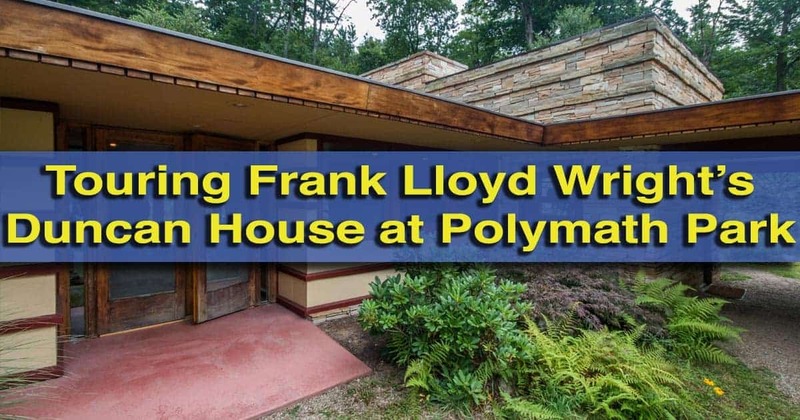 When you think of Frank Lloyd Wright buildings in Pennsylvania, it’s likely that the amazing Fallingwater or Kentuck Knob come to mind. 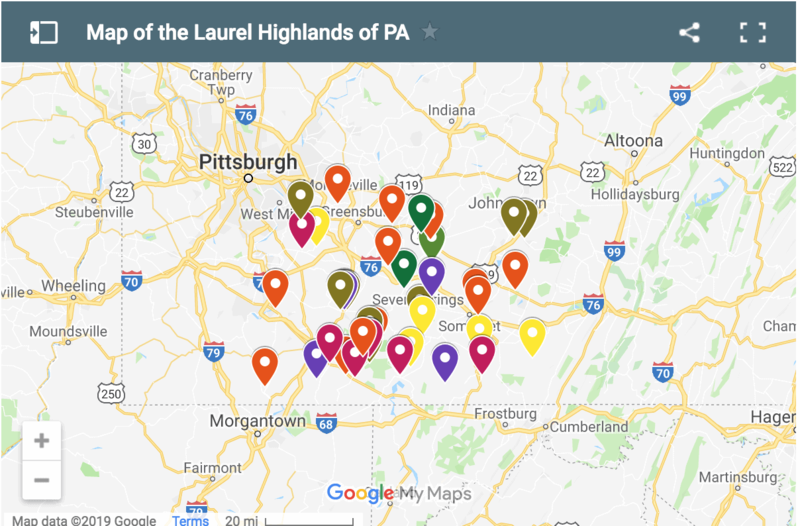 However, those are just two of his many creations in Pennsylvania. 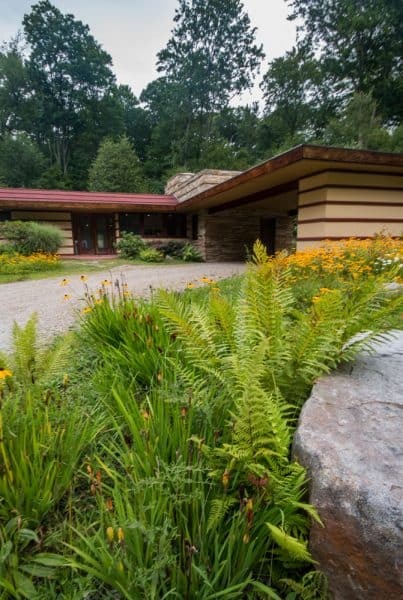 One of these lesser-known creations is Frank Lloyd Wright’s Duncan House which is located in Polymath Park in southern Westmoreland County, only 35 minutes from Fallingwater. 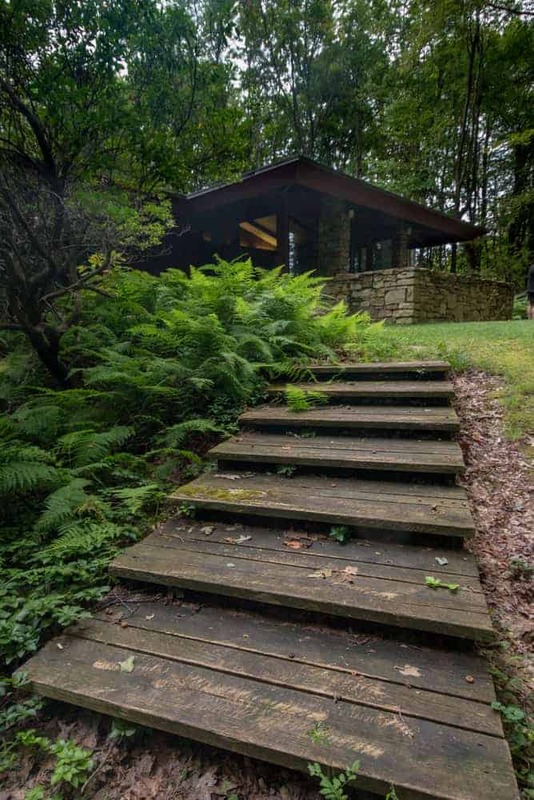 In addition to having one of Wright’s creations, Polymath Park is home to two homes that were designed by one of his apprentices, Peter Berndtson: the Blum House and the Balter House. The Duncan House at Polymath Park. The Blum House and the Balter House were designed and built on this site near Acme, Pennsylvania, in the 1960s. The original plan called for 24 homes to be built here, but only these two were completed. In 2002, the Duncan House was moved from Lisle, Illinois, and was reconstructed at Polymath Park. The home was one of a handful of Wright’s pre-fabricated Usonian homes. 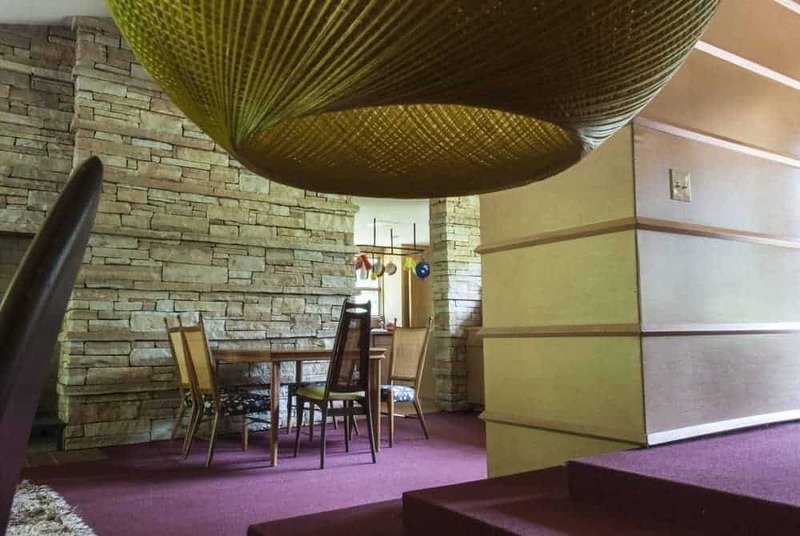 The idea of this style of home was to bring Wright’s design to the masses. The project never took off, and the house sold to Donald C. Duncan in 1954 was one of a few ever built. Another look at the Duncan House. When Duncan died, the home was slated to be torn down. 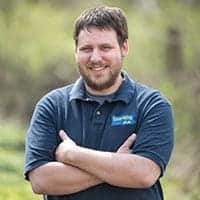 Fortunately, it was rescued by a group of investors from Johnstown, all of whom backed out of the project, leaving it to be rebuilt at Polymath Park. 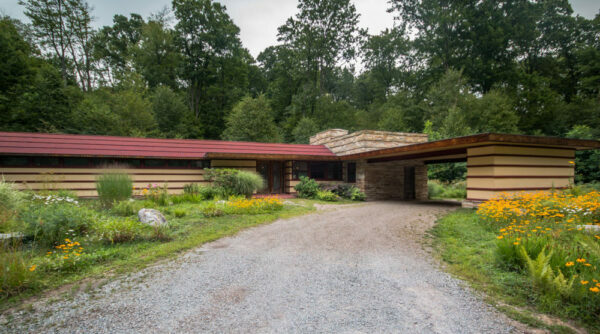 The Duncan House fits in well with the other two homes of the property as all three were designed in the Usonian style with many of Wright’s architectural designs. Today, visitors can both tour and spend the night in all three of the homes at Polymath Park. The backside of the Duncan House. For tours, visitors can choose between touring just the Duncan House or touring all three homes. In my opinion, while the homes designed by Berndtson might not have the same appeal as the one designed by Wright, they are of equal beauty and well-worth seeing. 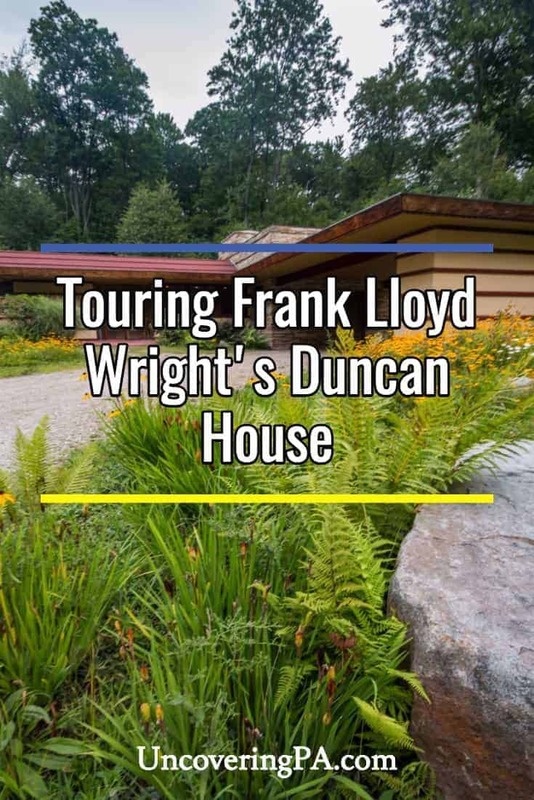 Tours begin at the Frank Lloyd Wright’s Duncan House. If you’ve toured other Wright homes, this one will likely look very different to you. That’s because the home was designed as an inexpensive, pre-fabricated home that would work for everyone. However, there are still many of Wright’s design elements that come through. 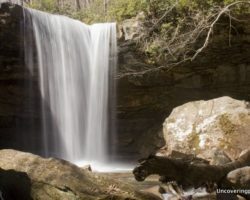 Visitors can walk through the home and enjoy its beauty from both the inside and out. 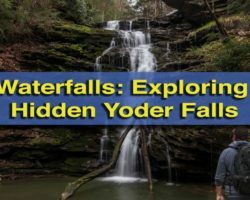 While it would have been nice if my guide had offered a bit more unprompted information during the tour, she was very knowledgable and was able to answer all of the questions my group had. After leaving the Duncan House, our next stop was the Balter House. In many respects, this home resembles exactly what you’d expect a wooded cabin would look like in Wright’s design. 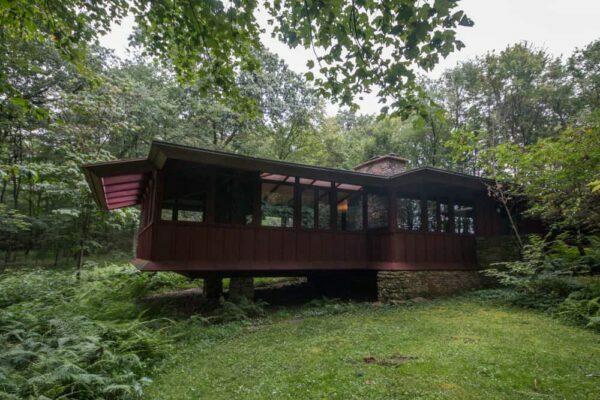 The Balter House is set in the woods. Here, rustic design meets the sleek and somewhat futuristic design that Wright and his apprentices were known for. In the design of the home, Berndtson tried to nestle the home into the forest, and in many places it feels almost like a treehouse. By contrast, the third home of the tour, the Blum House, has an airy, open feel. Set on the edge of the forest and adjacent to a large field, Berndtson designed the home to almost draw you into the field. This is primarily accomplished with a very large picture window in the living room that makes you feel as if the field is a continuation of the room. The Blum House is set in a beautiful field. 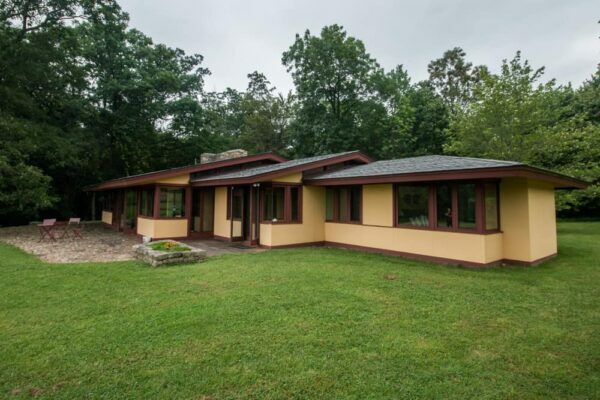 The Balter House was completed in 1964, one year before the Blum House. 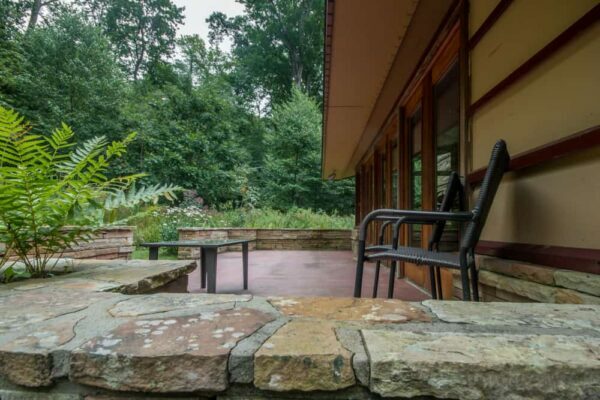 The Balter House has probably the most unique architectural touch of the three homes, thanks to its cantilevered screened-in porch that extends into the woods. Tours of the three homes last about an hour. 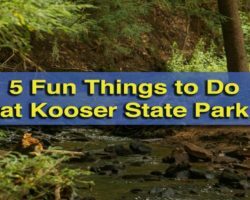 However, if that’s not enough of an experience for you, it’s possible to stay overnight in all three houses. The Duncan House is the only Frank Lloyd Wright designed building in Pennsylvania that accepts overnight visitors. The Balter House features a cantilevered screened-in porch. You can read reviews of staying at the homes on Trip Advisor (Affiliate Link) and you can book your stay on the website for Polymath Park. 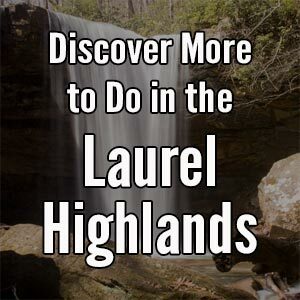 Whether you plan to stay the night or take a tour at Polymath Park, this isn’t a site to miss when visiting the Laurel Highlands. While it might not be as well known as other Frank Lloyd Wright homes, like Fallingwater, visiting here offers a fantastic chance to see one of Wright’s most unique designs, as well as two others inspired by him. Note: My tour of Polymath Park was hosted by the site. However, the opinions expressed are my own. Want to make the most of your visit to Polymath Park? 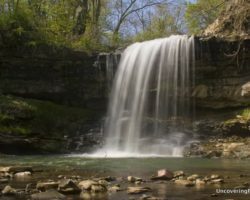 Check out the nearby Living Treasures Park and Linn Run State Park Waterfalls. In addition to the three Wright-related homes, Polymath Park is home to Treetops, a gourmet restaurant which offers fine food both inside and outside on a beautiful deck. Don’t miss Treetops!